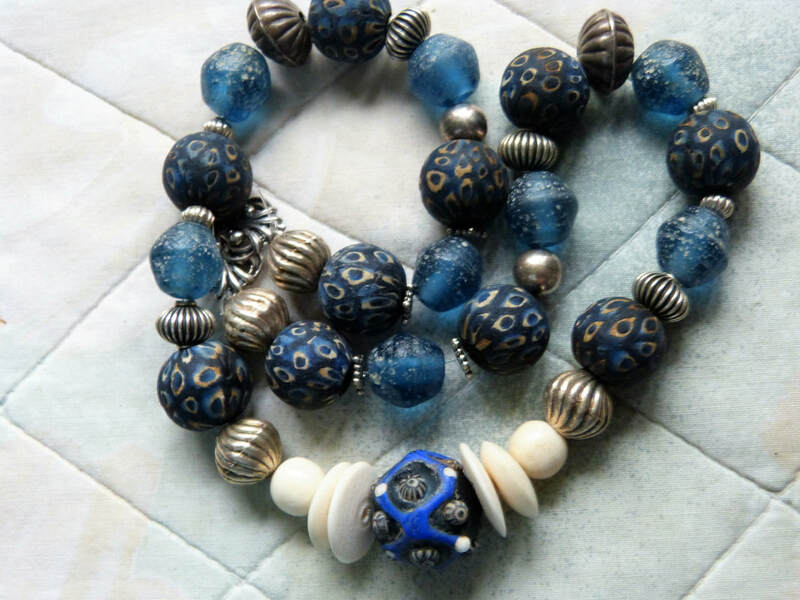 Ancient Islamic Eye and Pyu Replica Glass Beads Necklace with Sterling SilverParagraph. 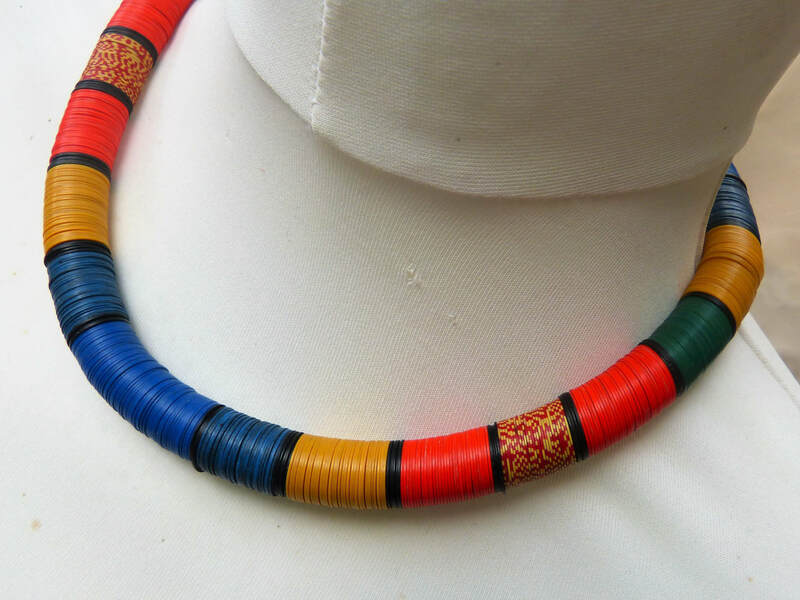 This is an extraordinary little pendant in silver - no hallmark - with real turquoise and coral inlay. 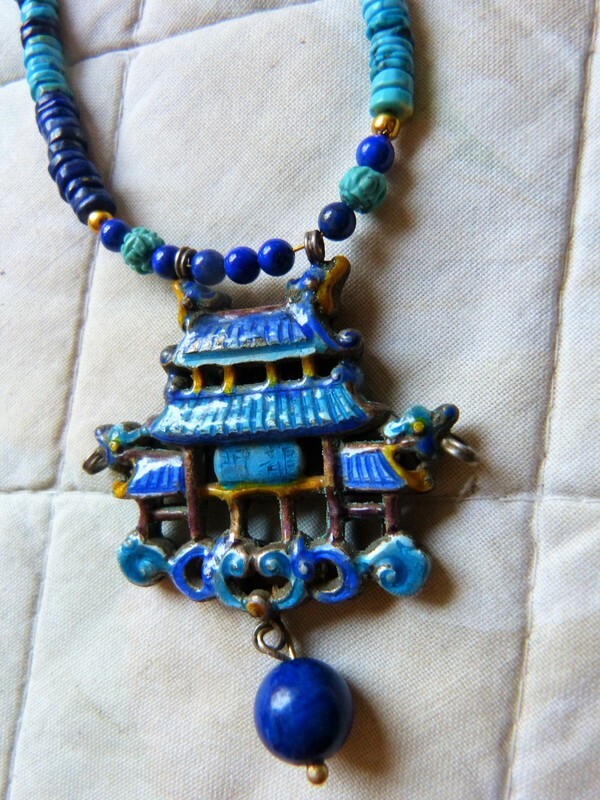 it ressembles the larger antique Ekbor earrings worn by Tibetan women, only much smaller (3.2 cm long)!. 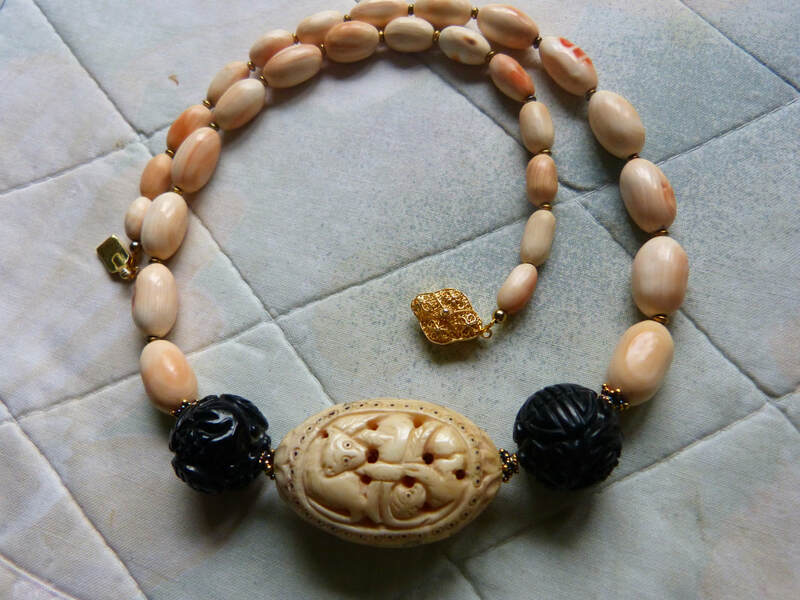 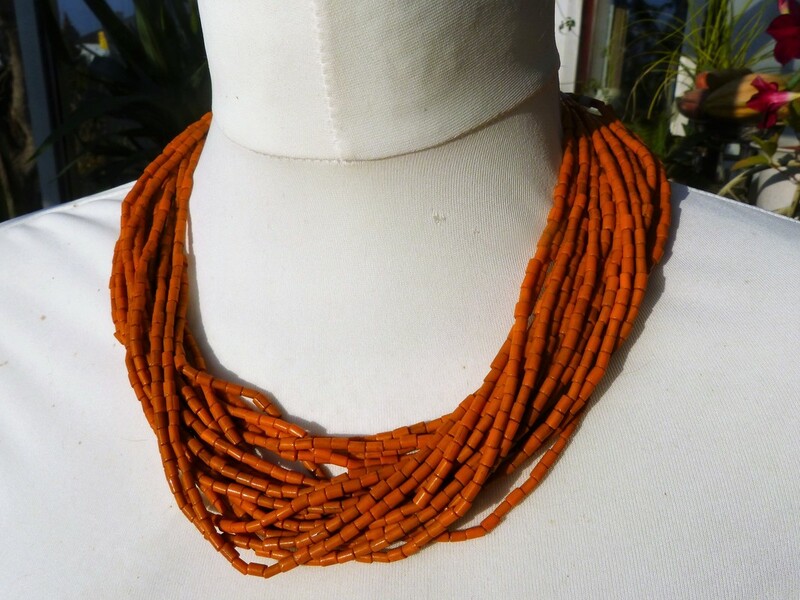 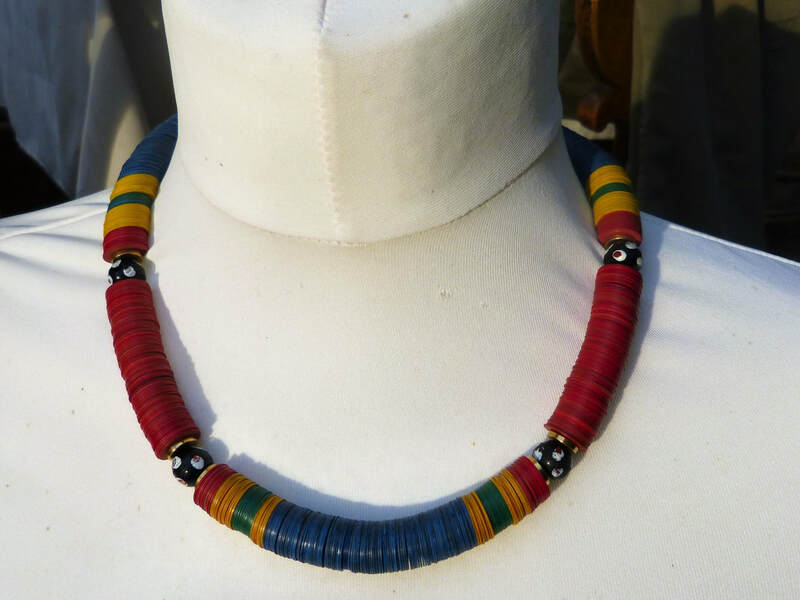 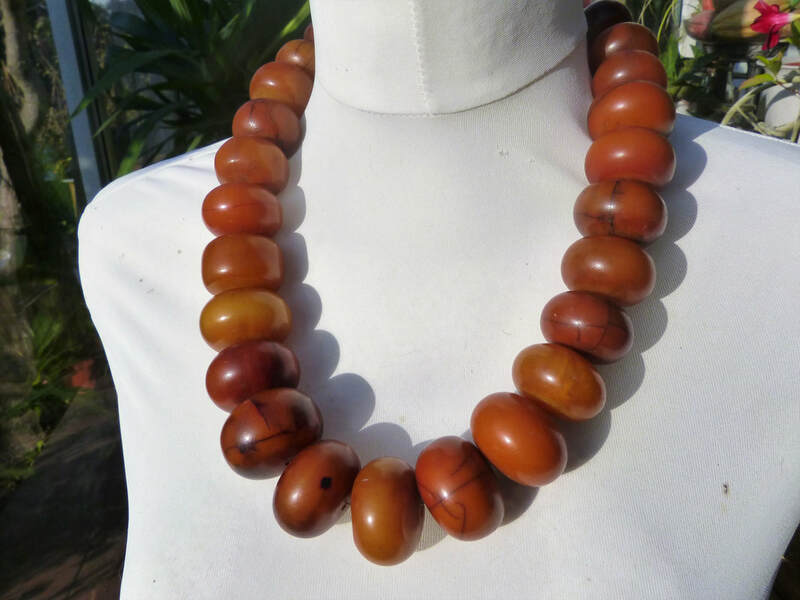 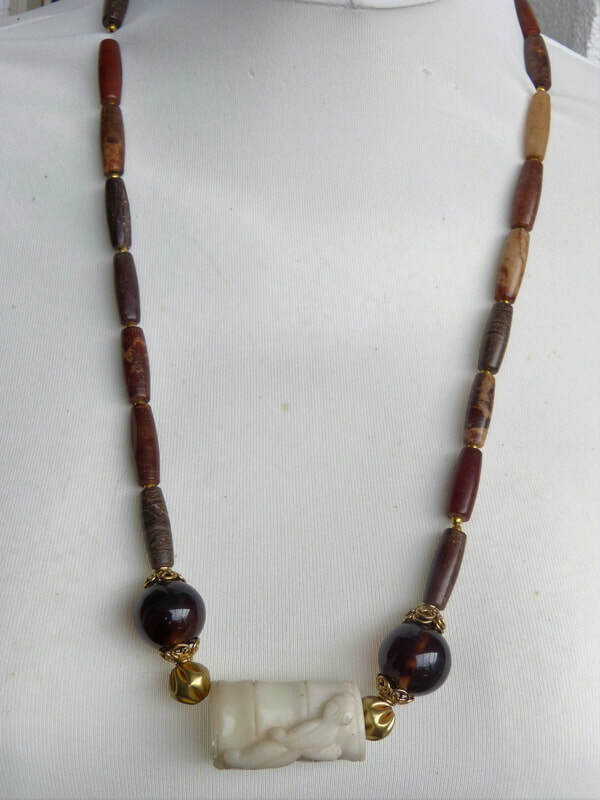 Gorgeous necklace of ancient agate beads form the African Trade. 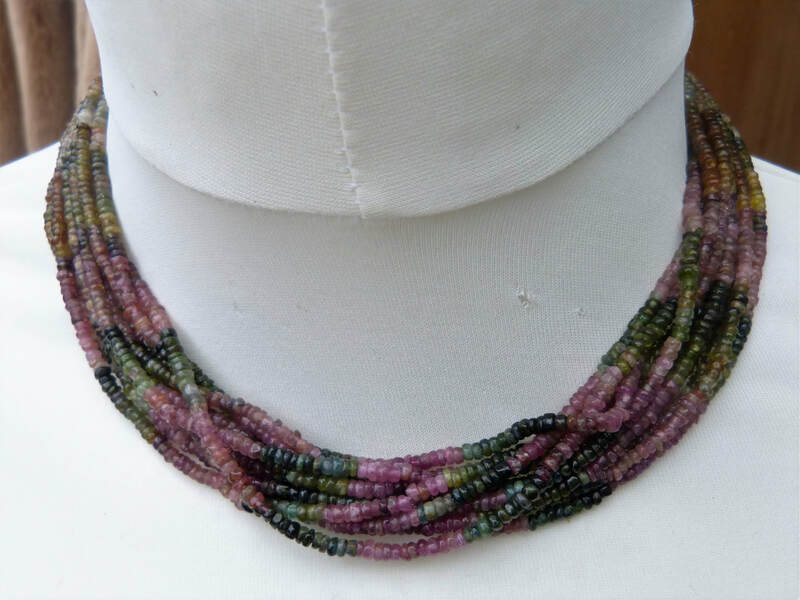 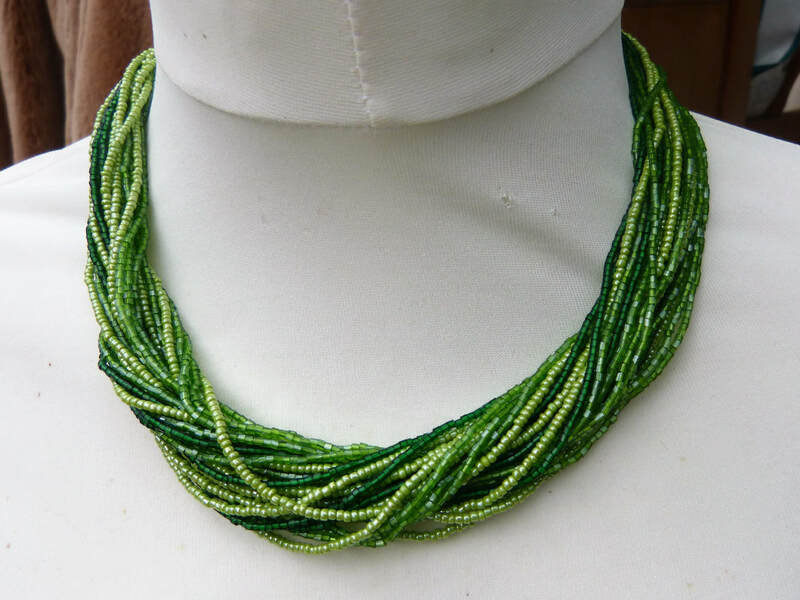 Beads are partly crudely cut, partly nugget shaped. 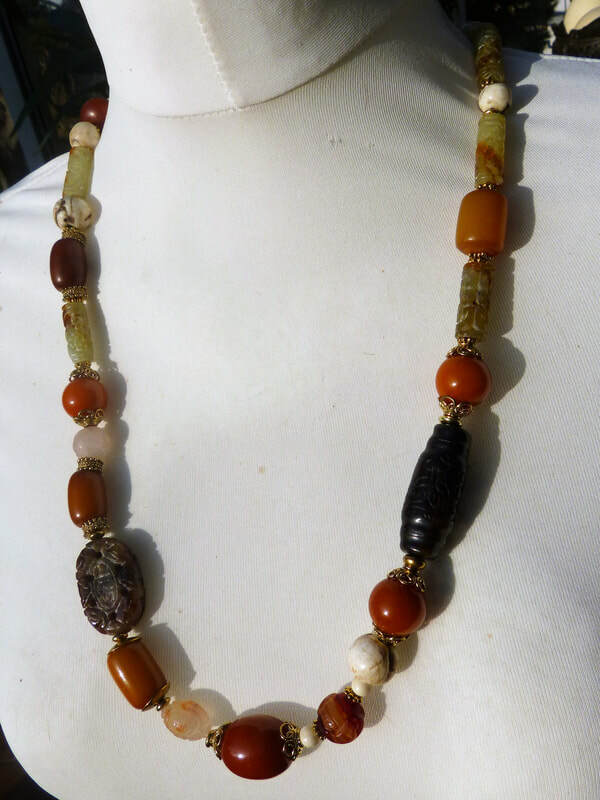 I have added five large butterscotch cut Baltic Amber beads for the front part. 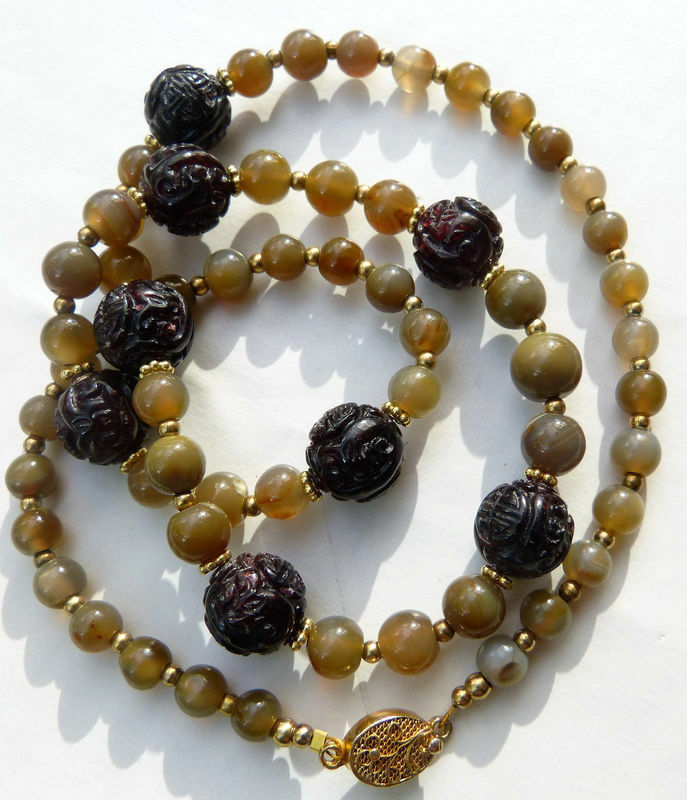 End beads from Senegal/Mauretania, trailed and cut out gilt silver beads, "or du pays"
Length 52 cmGorgeous Ancient Agate Necklace, Butterscotch Baltic Amber Beads, Senegal "Gold"
For the necklace I have used lapis lazuli beads, African amber (phenolic resin) beads, silver metal beads and blue bakelite heishi from the African Trade. 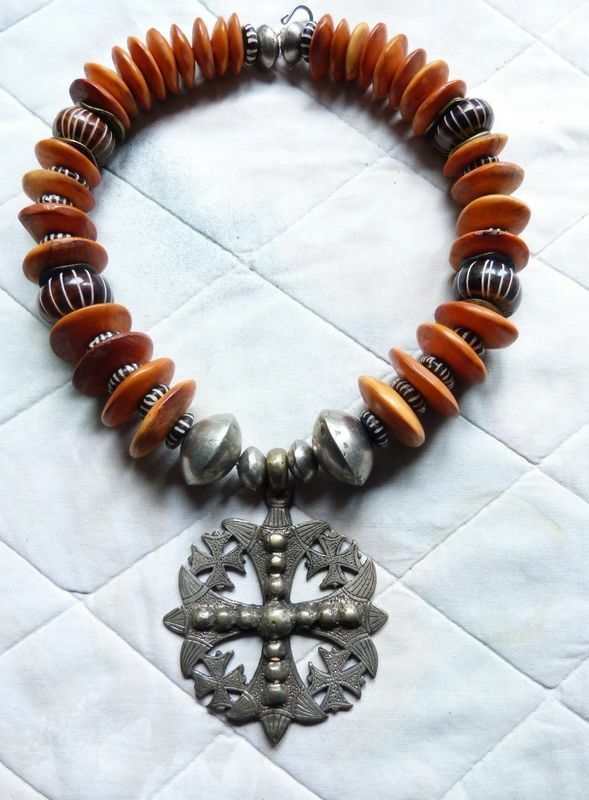 Tikar (also Tikari, Tikali, Tingkala, Ndop, Ndome) are a Wesst African Tribe in central and western Cameroon. 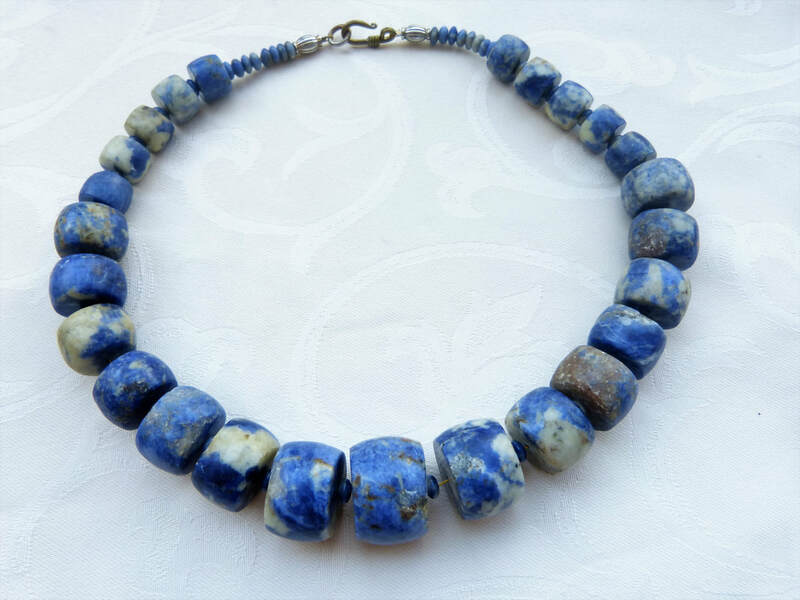 White Jade Dragon Bead Necklace, with blue Sumatra amber and Soapstone beads, Chinese Jade Cong? 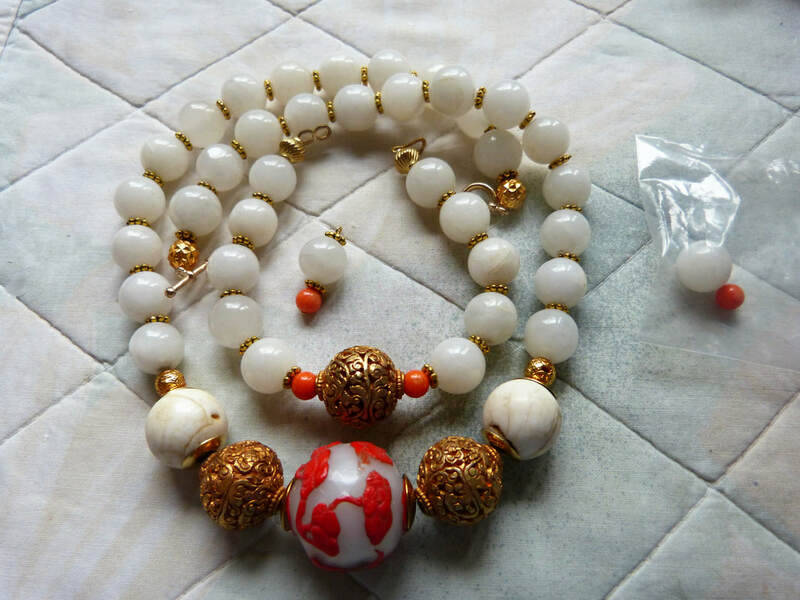 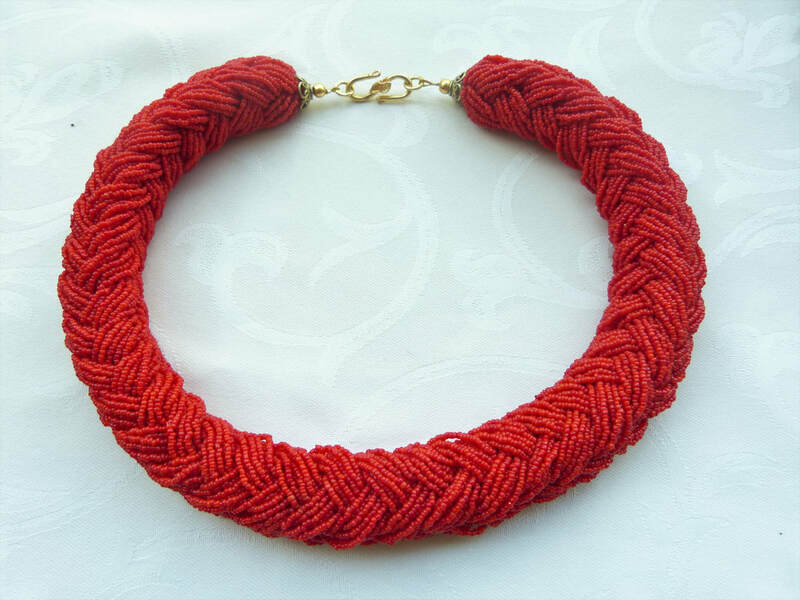 Gorgeous jewelry set, bracelet and necklace, made from 800 silver and genuine untreated coral. 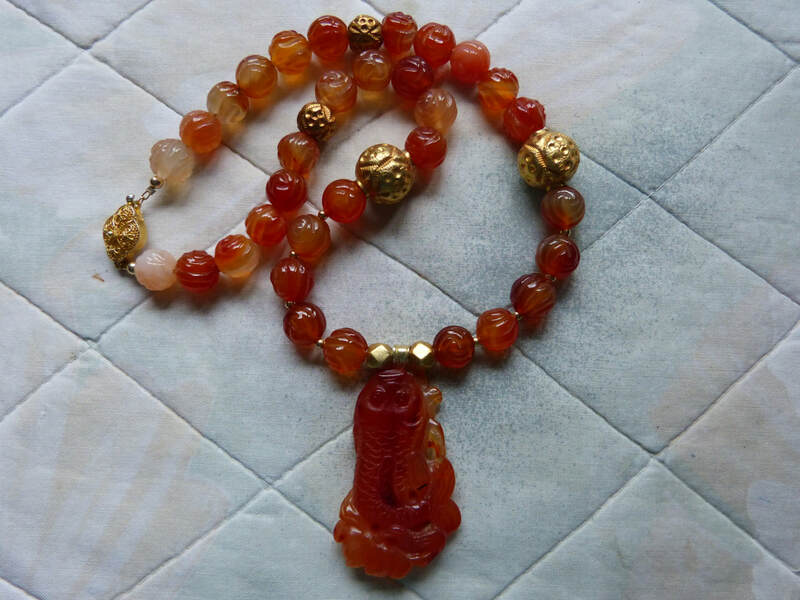 The origin ist unknown but I think it is of India, Rajasthan, origin. 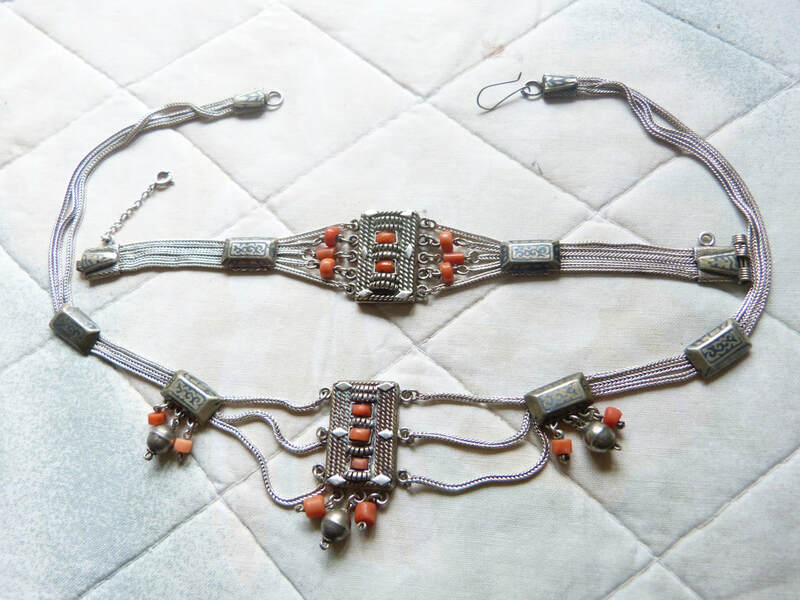 Bracelet and necklace are hallmarked; the necklace clasp seems to have been replaced with a fine silver wire hook. 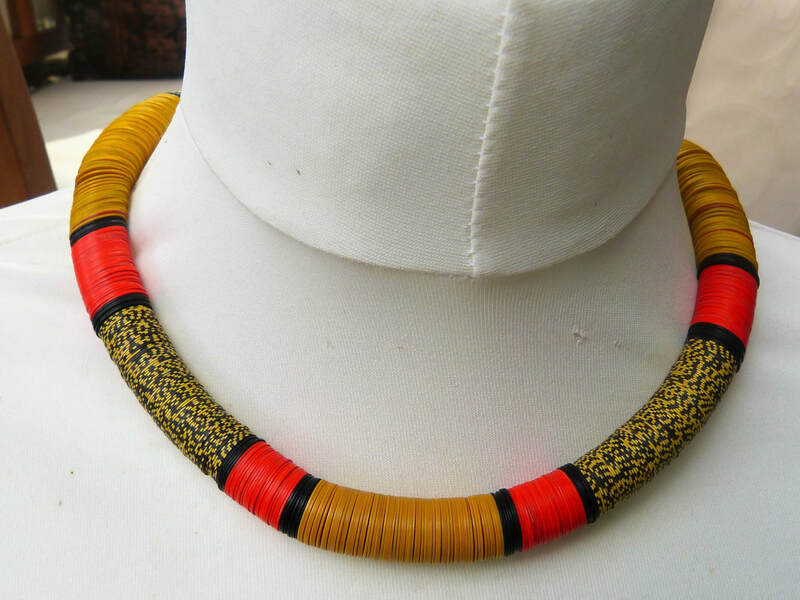 I am happy to provide a more sturdy new hook !